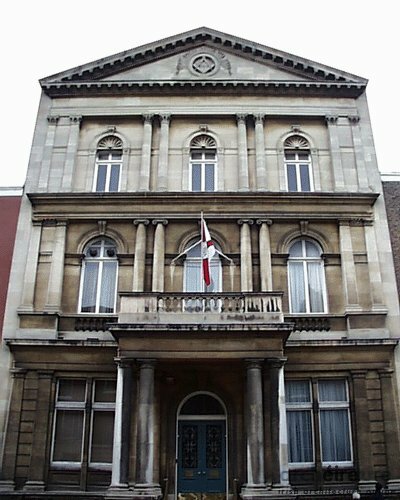 Built on the site of the townhouse of their first Grandmaster, the Earl of Rosse, this building was completed in 1866. 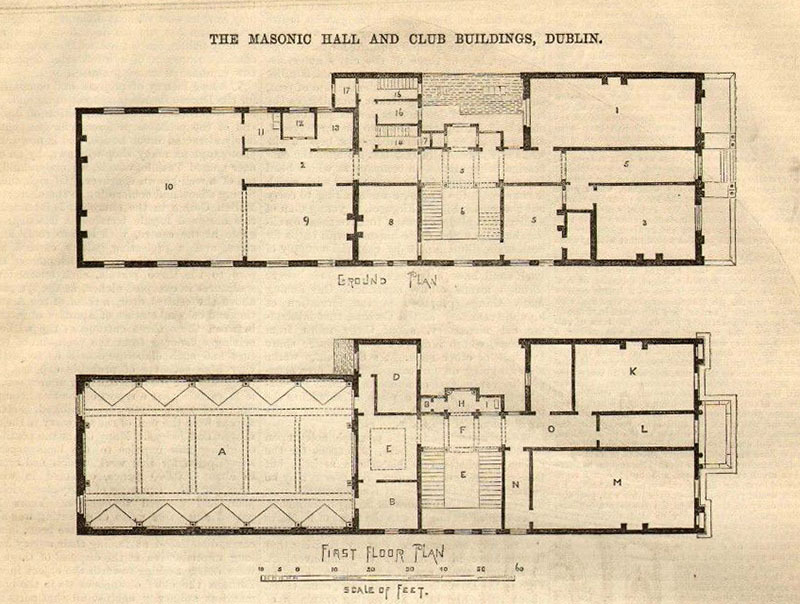 The result of an architectural competition, it was designed by Edward Holmes of Birmingham. 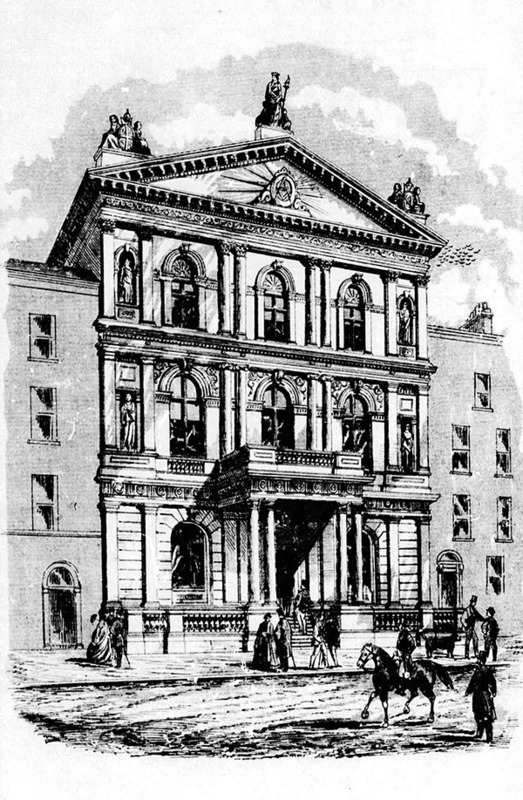 An unusual face for Dublin, the architect used three orders: Doric, Ionic and Corinthian. The pediment contains the Masonic square and compass. The Interior is a riot of colour and architectural styles and themes. The Royal Arch Chapter room is an egyptian theme; the Prince Mason’s Chapter room is Gothic Tudor; and the Kinghts Templar room is designed as a medieval chapel.